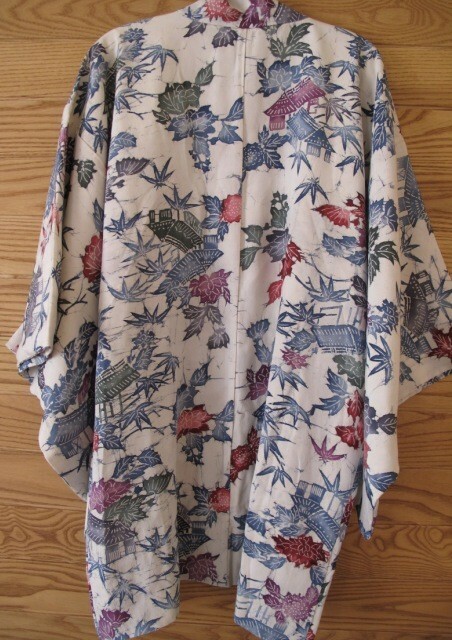 Yesterday I went a little shopping crazy on Etsy and bought myself what looks to be a beautiful vintage Japanese silk haori. Lately I've been lusting after something like this and I'm going to rock it all spring if it's as good in real life as on the pictures. I'm trying out new colors than I normally wear at the moment, particularly different tones of blue. My doctor once tested me for allergies and it turned out I was allergic to blue, specifically cobalt blue pigment, and I haven't worn blue clothing since I found out. Now I'm giving it another shot and so far nothing has happened, so I'm glad to get back to all the lovely shades of blue that I've been missing out on for years. 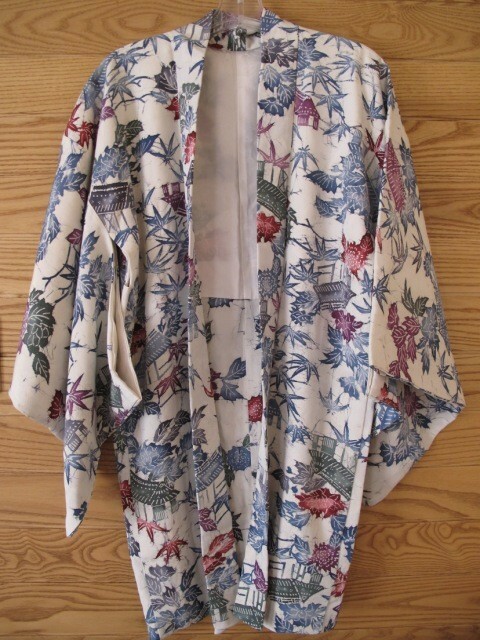 This robe is no exception and I love the pattern and colorscheme and can't wait for it to get here.